Scientists sometimes do a broad survey of existing research in a particular area to assess the quality of the studies and the general findings — to determine what conclusions may be drawn from that larger body of research. 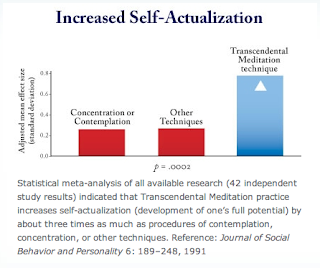 About a dozen such "meta-analyses" or reviews have been done involving the Transcendental Meditation technique, comparing it to other practices. 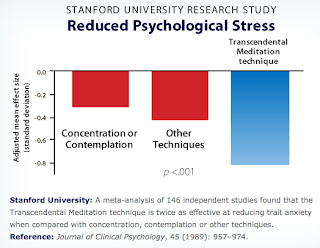 One such independent review, done at Stanford University, looked at the TM technique's effects on reducing anxiety, and found that TM practice had a significant, positive impact on anxiety and was more than twice as effective as any other mind-body practice studied (Journal of Clinical Psychology  957-974, 1989). 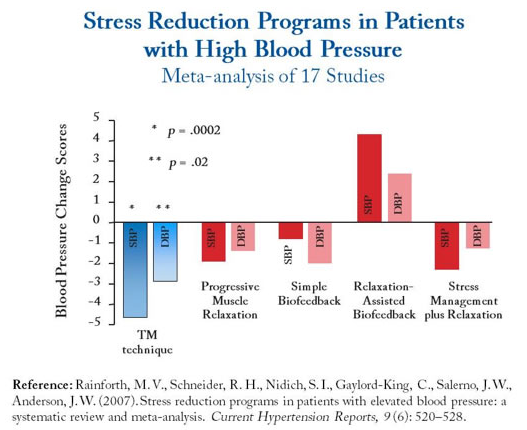 A 2013 review (meta-analysis) conducted by scientists associated with the American Heart Association and published in the journal Hypertension, investigated the effects of various forms of meditation on high blood pressure. The study concluded that the Transcendental Meditation technique should be recommended by doctors as an alternative treatment for hypertension, and that the TM technique is the only form of meditation that the American Heart Association can recommend for reducing hypertension. Other reviews have shown such effects as a distinct state of physiological relaxation (American Psychologist  879-81, 1987), reduced use of cigarette smoking (Alcoholism Treatment Quarterly, 11,13-88, 1994), reduction of high blood pressure (Current Hypertension Reports 2007;9(6):520-528), reduced drug use (American Journal of Health Promotion, 12 :297-298, 1998), reduced alcohol use (Alcoholism Treatment Quarterly, 11, 13-88, 1994) and increased self-actualization (Journal of Social Behavior and Personality 6 (1991): 189–247; Journal of Counseling Psychology 19 (1972): 184–187). AHRQ Report: Two scientific reviews (most notably the "AHRQ" paper, now archived on the AHRQ website as an "obsolete" study) failed to find strong evidence to verify whether or not TM or meditation of any kind produces significant health benefits. These are the reviews often cited by skeptics and opponents of meditation to argue that meditation has no clinically proven benefits. 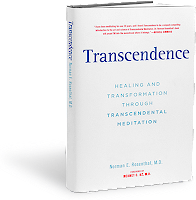 The current Transcendental Meditation Wikipedia page, displaying obvious negative bias on the part of its volunteer editors, cites these reviews as definitive studies—grossly misrepresenting the proven health benefits of TM practice. 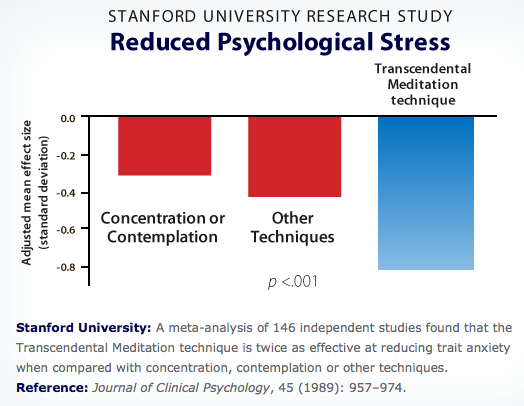 One might say that meditation opponents are cherry picking the data and favoring only studies that support their beliefs, while ignoring literally hundreds of other peer-reviewed studies that validate the benefits of the TM program, including other meta-analyses and randomized controlled trials. A close look at the reviews in question and the methodology they used reveals that there is little basis to the charge that "TM produces no significant health benefits." These two reviews are considered to be poorly designed and replete with errors, and are often dismissed because they did not thoroughly consider the large body of relevant data. 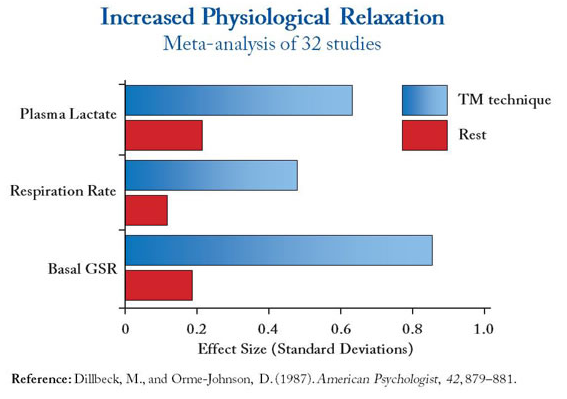 Meditation researchers in general consider the reviews inconclusive, at best. 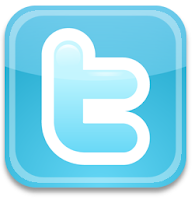 Fortunately, the fact remains: over 600 scientific papers, research studies and reviews have validated the benefits of the TM program for mind, body, behavior and environment—hundreds of these studies appearing in leading peer-reviewed research journals, with nearly $30 million in research grants from the National Institutes of Health.